Ignacy Domeyko – geologist, mining engineer, researcher of South America, and a central figure in shaping education and the economy in Chile – will be the subject of a new museum in La Serena, to be opened in 2017. The Ignacy Domeyko Museum, which is the product of the joint efforts of Poland and Chile, is to be a centre of culture. The permanent exhibition will present Domeyko’s life and work both in Poland and in Chile. Lena Cichocka of the Museum of Polish History, which co-organized the exhibition, said in addition to the permanent display, the museum will feature a projection room, a hall for temporary exhibitions, an auditorium, and a library. The first part of the exhibition presents Domeyko’s home and family, his childhood in Lithuania, time spent in Vilnius, his membership in the Philomath Society and participation in the November Uprising, his exile in Paris, his studies, and his patriotic activities. This period of his life, which is less known in Chile, will be conveyed through graphics and aminations using motifs from Polish historical painting. They will place Ignacy Domeyko’s activities within the context of other prominent Poles of the Great Emigration. This is accompanied by an examination of Domeyko in Chile – his research conducted in Chile and his work for the country, where he spent the second part of his life. This part of the narrative starts with a trip to Chile, followed by Domeyko’s time at school and laboratory in La Serena, his journeys around Chile and time at the University of Santiago, his great journey to back to Europe, and the last years of his life. This part of the exhibition concludes with contemporary receptions of Domeyko’s character and works. Ignacy Domeyko was born on 31 July 1802 in Niedźwiadka Wielka and died 23 January 1889 in Santiago, Chile. He was a geologist, mineralogist, mining engineer, and a scholar of South America. He was also the prototype for Żegota in Part III of Adam Mickiewicz’s Forefathers’ Eve. As a student in the Department of Mathematics and Physics at the Imperial University of Vilna, he became acquainted with Adam Mickiewicz and was admitted to the Philomath Society. Though he was much younger than other members of the organization, Domeyko’s character and scientific predilections led to his selection as head of the nature department. Because of his association with the Philomaths, he was the subject of investigation and, after graduation, found himself in the Unite Basilian monastery in Vilnius with two hundred other detainees. Though he escaped exile, he was kept under surveillance of the police and he was required to obtain a special permit every time he wanted to leave the country. Upon hearing news of the outbreak of the November Uprising, Domeyko bought a rifle and cavalry sabre – weapons he had the opportunity to use in the spring of 1831. When General Dezydery Chłapowski’s regiment corps entered Lithuania, Domeyko joined them and was an adjutant of one of the regiments. There he met Dr. Karol Marcinkowski and Emilia Plater. The campaign was unsuccessful and soon the defeated corps of Chłapowski and Antoni Gielgud crossed the border to East Prussia. It was at that moment that Domeyko’s life in exile began. Domeyko’s exile took him through Frombork, Malbork, and Frankfurt an der Oder, to Dresden, where he met up with Mickiewicz and Antoni Edward Odyniec. After political pressure forced them from Dresden, Domeyko and Mickiewicz traveled first to Strasbourg, then to Chalons sur Marne, from which he went illegally to Paris. By 1837, Domeyko had finished his studies in mining and was working in Alsace. It was there that he received a letter from Professor Armand Dufrenoy, a mineralogist from the Ecole des Mines, offering him a teaching position in chemistry and mineralogy in Coquimbo in northern Chile. The offer, plus the promise of free travel and a high salary, was one Domeyko immediately accepted. Domeyko would teach in Coquimbo for the next six years, during which time he also traveled extensively though the country, collecting mineral samples and filing scientific reports. Later, teaching at the University of Santiago, Domeyko was appointed professor of chemistry and conducted lectures in chemistry, physics, and mineralogy. He also served as Rector of the university. 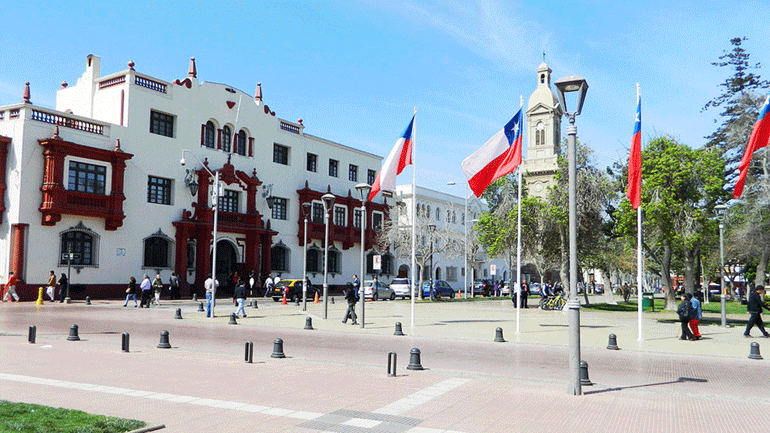 In 1848, the Chilean Congress unanimously decided to grant him Chilean citizenship. His work in the country was of great importance to Chile. His mineralogical and geological research was instrumental in the development of the Chilean mining industry. Domeyko also worked to expand and improve education in the country. He remains popular and respected in Chile, whose map features both Domeyko Mountains (Cordillera de Domeyko) and a village called Domeyko. The mineral domeykite is also named for him. Domeyko’s exceptional story will be presented in the exhibition with the use of multimedia elements, alongside traditional museum displays. The Museum of Ignacy Domeyko and its permanent exhibition are the work of the Polish Ministry of Culture and National Heritage and the Chilean Ministry of Culture. The exhibition was co-organized by the curatorial team of the Museum of Polish History.